Is this a dream? I would pinch myself to find out but at the moment my hands are a little busy floating in the shallow end of one of the most magnificent bodies of water I’ve ever dipped in. No, it’s not the beach, or even one of those fancy showers with ten thousand jets. This, friends, is the mac daddy of architectural feats in terms of pools. A subtle, soft, sand-like entrance that envelops my soul and tempts me to linger in the shallow end way longer than I thought I’d be there. And, I don’t care if anyone is looking. So there! Welcome to my mini-escape into the lap of luxury. My story begins in the pool of the Hyatt Regency Sarasota. I feel almost guilty calling it just a “pool” because this is so much more than that. It’s amazing, really amazing. Earlier in the afternoon I set eyes on it from my 9th floor balcony and exclaimed, “Yes, this is it. I am officially in love!” As I tore down the hall, hopped the elevator and exited the floral, over-sized pillowed, comfy couch lobby that one of my most favorite icons, Lilly Pulitzer, designed, I became a giddy teenager. I actually skipped and clapped my hands as I approached the crystal clear water that overlooked the 32-slip marina. I could go on and on about this, however, this resort demands my full appreciation, because the recent renovation is in a word: stunning. Let’s start with the rooms. All 294 of them are bright and airy and colorful and modern. Lilly Pulitzer was here too. With her burst of cranberry and lime green and bright yellow and hot pink, and her designs speak to me with a whisper “come hither.” Flat screen TV’s and white tiles complete the look, as does the view from my balcony which I mentioned showcases the expansive marina, OMG pool, and the intercostal waterway where I just spotted a mother and baby manatee. Want to live large? 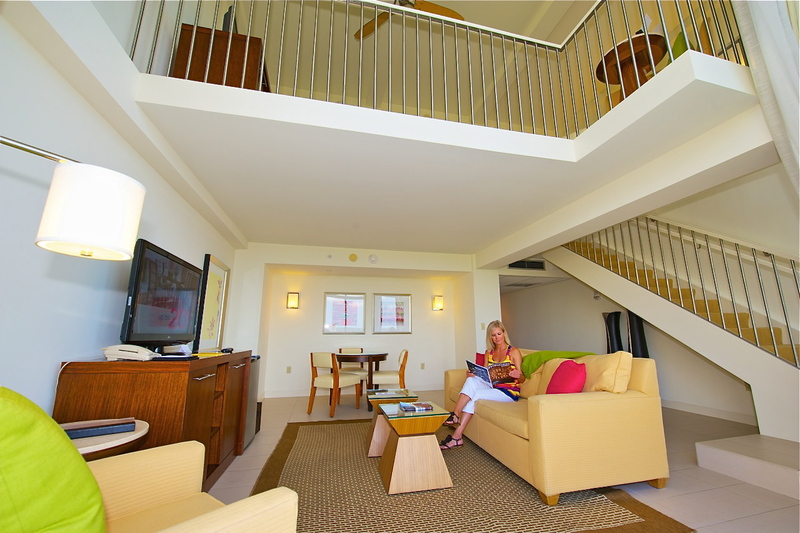 You can in the resort’s Bi-Level Suite. Take off your shoes and run barefoot through 1,090 feet of sheer elegance. Floor to ceiling windows, breezy white drapes, an open floor plan that shows off the second level. One moment I’m reading some fancy magazine downstairs. Wait. Now I’m upstairs looking out those huge windows at the glorious tops of trees, which reveal the Van Wezel Performing Arts Hall. I like this place. It’s got mojo. that’s coriander crusted, with orange wasabi vinaigrette, and house-made kohlrabi kimchee. I swear, I didn’t plan it, the shirt I wore matched the décor at my table, the candles reminded me of bright green candy canes, even the napkin was checkered with all kinds of florescent colors. The resort’s prime location, in the heart of the cultural district, makes things really easy as I plan my night out on the town and realize I’m way closer than imagined to some of the areas best dining and nightlife. So off I go. The night is calling. The pool will have to hang out with the rest of the guests while I’m gone. I’ve always been intrigued by the circus. And being that Sarasota is the winter home of the Ringling Brothers and Barnum and Bailey Circus, I promised myself I wouldn’t leave until getting stepped on by an artist. Let me clarify. It’s a good kind of being walked on. Soft, plump feet applying just the right amount of pressure into your back, as the artist (or in this case the massage therapist,) hangs from silk drapes and performs magic. 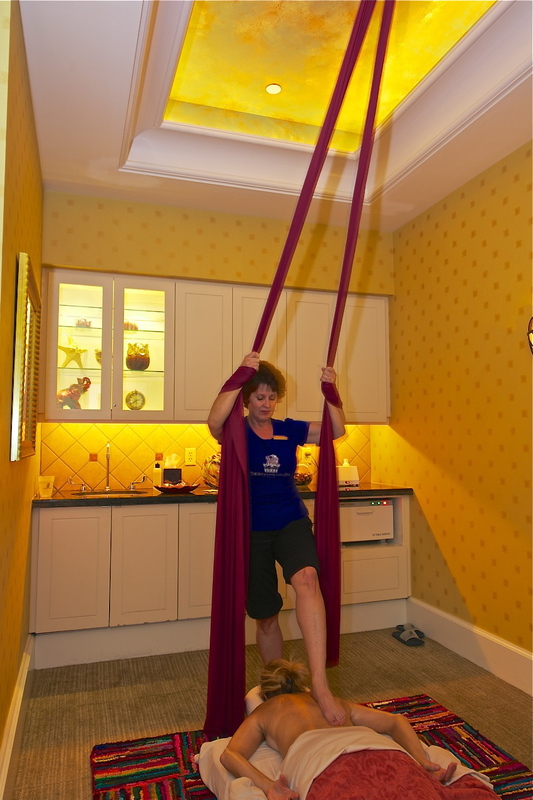 It’s the latest and greatest spa service called the Aerial Silk Massage being offered at the luxurious Ritz-Carlton Spa, Sarasota. If facials are your more your speed, try the HydraFacial® It’s like a facial without all the heavy creams and masks. If you’ve got dry skin and could use a fresh outlook, you should take the plunge. Water jets, infused with nutrients, reduce fine lines and wrinkles, and give you that “I just slept for 20 hours and feel great” look. 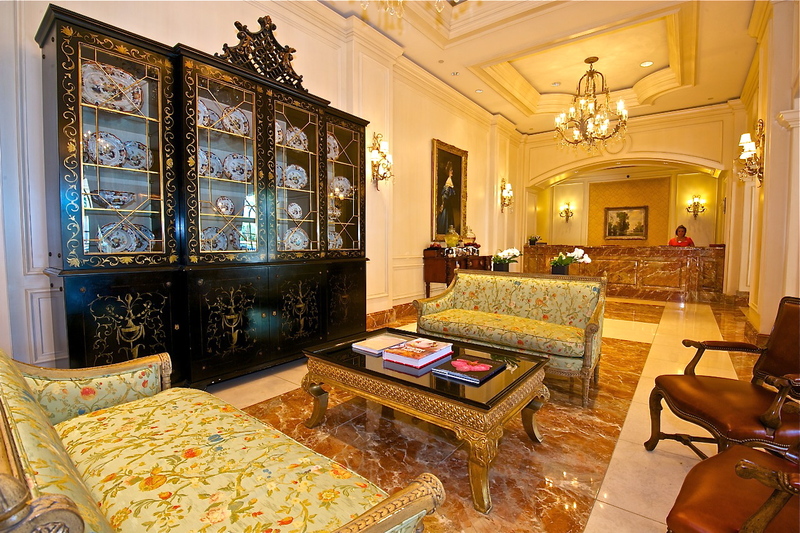 One of the things I’ve always admired about the staff at the Ritz-Carlton is the high level of personalized service that’s extended to each and every guest who walks through the door. After my spa services, I took a dip in the Jacuzzi, had lunch on the spa balcony overlooking the gardens and topped it off with a crisp glass of ice cold champagne that tasted like sheer gold. Let me back up here and recap my morning, which set the tone for this day of indulgence. As I walked through the entrance to Jack Dusty, located just off the main lobby of the hotel, I was greeted with an array of warm welcomes. 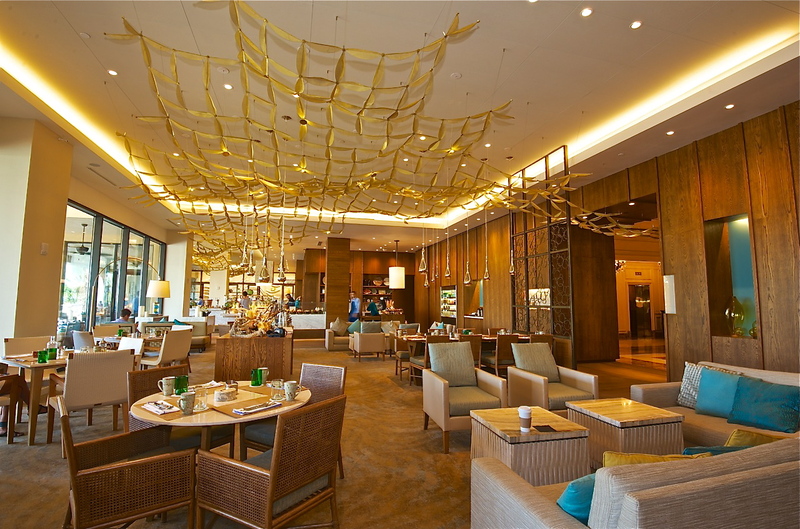 To the right, the marketplace which consists of a gourmet coffee bar and perfectly prepared pastries. Further down, bright red fresh lobster over crushed ice, and diced fruit dancing on sweet, creamy yogurt. Whole grain bread, homemade jams, and soft churned butter stood in line at this beautiful buffet. I, however, choose to order from the menu, which, because it’s the Ritz, of course you can. Original breakfast fare like Tres Leches French Toast adorned the menu and called to me. Delicious marcona almonds, strawberry compote, zabaglione, topped with vanilla-infused maple – it was the perfect combination of sweet, crunchy, tart and well, superb. The Gravlax platter should have come with a bow on it, because it was such a gift to devour every one of the caper berries, pickled shallots, chive, cream cheese, and cured tomatoes, on a beautifully toasted bagel. The Local Crab Benedict was also a scene-stealer that couldn’t be ignored. Imagine poached eggs, cured tomatoes, spinach, charred tomato hollandaise, and potatoes. 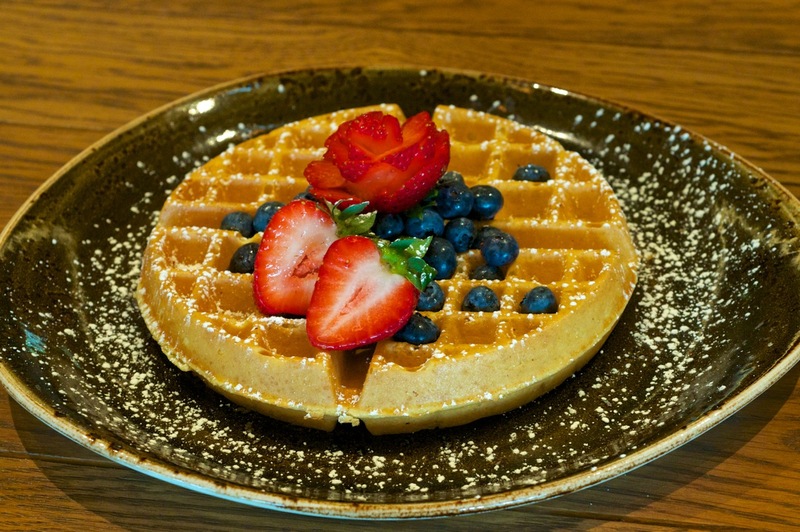 I would be remiss if I didn’t mention the vanilla infused maple pancakes and Belgian waffle. The powdered sugar that topped both entrees was light and perfectly scattered across the golden brown crust. It was during breakfast that I was greeted by the restaurant manager who let me in on a rather lovely event that’s gotten some good attention. It’s called 777 – and it’s a truly unique entertainment concept that’s caught fire with locals and visitors alike. Here’s the deal: Every Wednesday at 7:00pm, the resort offers $7.00 drinks, $7.00 appetizers, free valet, fire pits, comfy couches, a DJ, and if you choose to stay the night, the resort offers a special rate of $177.00. Best part, you’re outside, under the stars enjoying the tropical breezes. 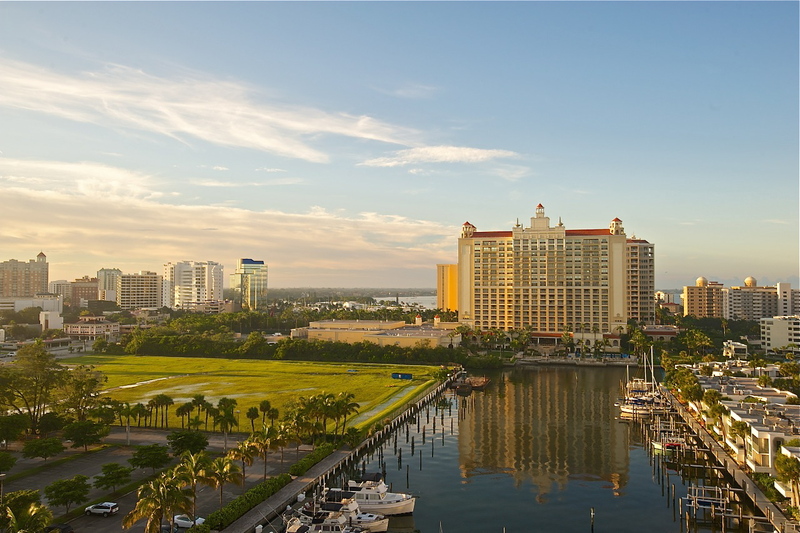 In addition to a Gulf-front Beach Club, Tom Fazio-designed Golf Club, Spa and Wellness Center, children’s recreation programs and 266 guest rooms with Ritz-Carlton Club Level accommodations, The Ritz-Carlton, Sarasota offers 218 Residences and a private country club-style membership. Not bad for a weekend getaway huh? I know I feel like someone famous having spent the some “me” time here. 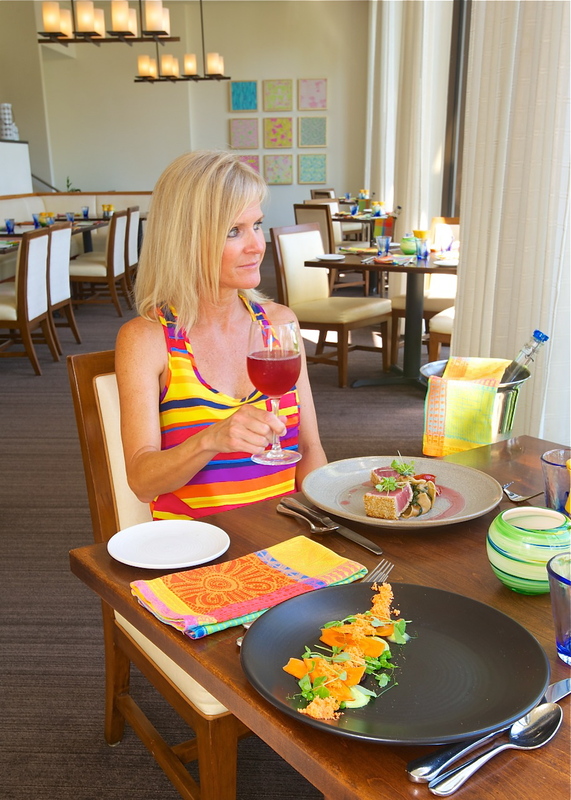 To read the Luxe Beat Magazine version of this article click on the title Dripping in Luxury – Sarasota Resorts Offer a Taste of the Good Life.